The all-new 7th generation 2017 BMW 5 Series is 1.2 inches longer overall on a 0.2 inch longer wheelbase, 0.3 inches wider and 0.6 inches taller, than the outgoing model with a choice of a new 248 horsepower 2.0-liter 4-cylinder inline engine in the BMW 530i with 0 to 60 acceleration of 6 seconds to a top speed of 130 mph. The new BMW 540i has 35 more horsepower in a 335 horsepower 3.0-liter inline 6-cylinder engine with a 0 to 60 time of 4.9 seconds and electronically-limited top speed of 130 mph. All the engines are available at launch with BMW xDrive intelligent all-wheel drive. The 2017 BMW 5 Series has the new iDrive 6.0 user interface, gesture control, the latest generation of Head-Up Display, Remote 3D View and an improved Voice Control with natural voice input. The all-new BMW 5 Series will be available at U.S. dealers in February 2017. Pricing will be announced closer to market launch. The all-new, fifth-generation 2017 Honda CR-V, is completely redesigned and reengineered has a 190 horsepower 1.5-liter DOHC, direct-injected and turbocharged in-line 4-cylinder engine in EX and higher trims mated to a continuously variable transmission (CVT) with Honda G-Shift control logic. CR-V LX trims will be powered by a 2.4-liter DOHC, direct-injected i-VTECÔ engine also mated to the continuously variable transmission. 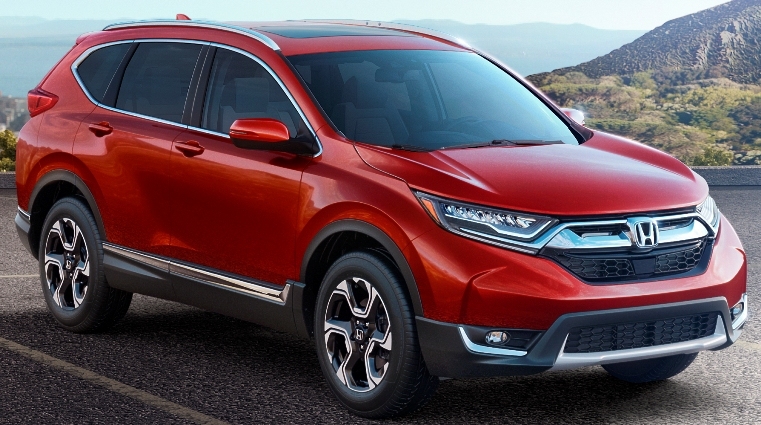 The CR-V has an all-new body and chassis design and new windswept front end appearance. 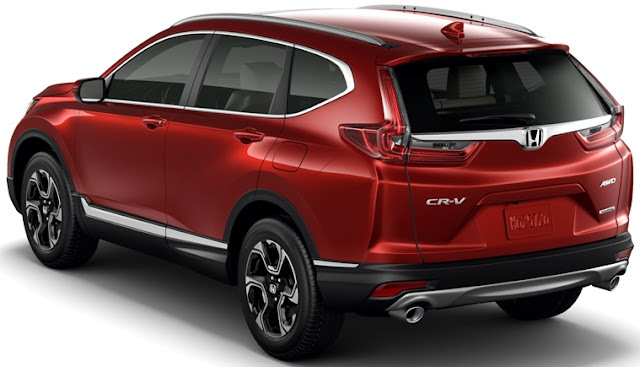 Available features on the 2017 Honda CR-V include remote engine start, dual-zone climate controls, heated side mirrors, an Electric Parking Brake, rear USB charging ports, front passenger seat with 4-way power adjustment and driver's seat with 8-way power adjustment, 4-way power lumbar support and heated front seats and hands-free access power tailgate. 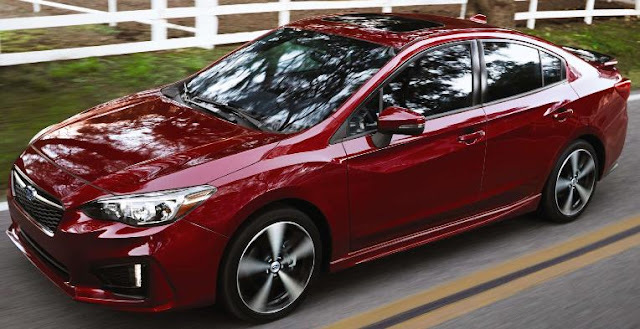 Honda Sensing includes Collision Mitigation Braking with Forward Collision Warning and pedestrian sensing capability, Road Departure Mitigation with Lane Departure Warning, Adaptive Cruise Control with low-speed follow and Lane Keeping Assist. Additional new driver-assistive technologies include the available Blind Spot Information, Rear Cross Traffic Monitor and Auto High Beam headlights. The 2017 CR-V goes on sale this winter. Take a test drive on the streets around the Anaheim Convention Center or bounce around on the rugged terrain inside at Camp Jeep. This Chevrolet Camaro 2SS with a 640 horsepower supercharged 6.2L V-8 engine mated to a 10-speed automatic transmission is priced at $54,780. Hyundai's new luxury Genesis brand displays the Genesis G90 (left) both the 365 horsepower 3.3 liter V6 that starts at $68,100 and 420 horsepower 5.0 liter V8 that starts at $69,700 and the Genesis G80 (in the background) with its 311 horsepower 3.8 liter V6 that starts at $41,400. Maserati Levante SUV with its 350 horsepower 3.0L twin-turbo GDI V6 starts at $72,000. 2017 Chrysler Pacifica Hybrid minivan will get an EPA-expected 80 miles per gallon equivalent (MPGe) in the city with an all-electric range of 30 miles. Subaru WRX STI Limited/w wing/HUV 305-horsepower 2.5-liter turbocharged/intercooled BOXER enginemated to a 6-speed manual transmission starts at $35,195, this one costs $41,374. 2016 Ford Focus RS all-wheel-drive is powered by a 350-horsepower 2.3-liter EcoBoost® engine. For the first time there's a commercial truck display at the OC Auto Show. There's a basement full of exotics, like this Ferrari, to feed your dreams or drain your wallet. The Orange County Auto Show opened yesterday and runs through Sunday. 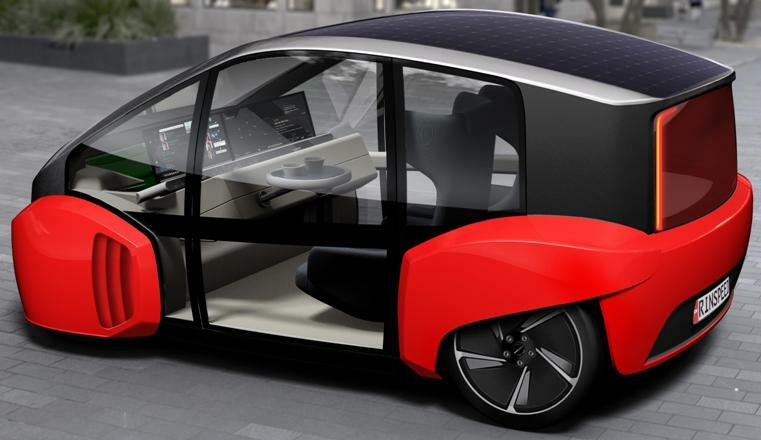 The Oasis two-seat self-driving electric concept vehicle, created by Rinspeed's Swiss boss Frank Rinderknecht, offers an interior like a modern-day family room with armchair, sideboard, TV, and a multifunctional steering wheel and the windshield also serves as a screen for virtual as well as augmented reality. Oasis will be on display at CES in Las Vegas in January 2017. The 2017 Mazda MX-5 Miata RF (Retractable Fastback) two seater with a 155 horsepower 2.0-liter SKYACTIV-G direct-injection engine paired with either a six-speed SKYACTIV-MT manual transmission or six-speed automatic transmission starts from $32,390 (including $835 for destination and handling). The Retractable Fastback has a 4.6-inch full-color TFT gauge and the availability of Machine Gray Metallic paint in substitution of Meteor Gray Mica that is available on the soft top. For 2017, all MX-5 Club models will come standard with Blind Spot Monitoring and Rear Cross Traffic Alert, regardless of their roof option. Presale orders are being taken as production just began for North American and European markets, where sales launches begin in early 2017. General Motors (Chevrolet, Buick, GMC, Cadillac) sold 249,795 vehicles, down 0.6 percent. Year-to-date sales of 2,212,397 is a 3.8 percent decline from a year ago. Ford and Lincoln U.S. September sales totaled 204,447 vehicles, a 7.7 percent decline versus a year ago. Year-to-date sales of 1,988,456 is a gain of 0.8 percent from a year ago. Toyota Motor Sales (including Lexus) reported September 2016 sales of 197,260, an increase of 1.5 percent from September 2015. Toyota Division posted September sales of 171,459, up 1.4 percent. Year-to-date sales of 1,822,419 is down 2.4 percent. FCA US (Chrysler, Dodge, Ram, Jeep, Fiat, Alfa Romeo) reported U.S. sales of 192,883 units, a 1 percent decrease compared with sales in September 2015. Year-to-date sales of 1,714,360 is up 4 percent from a year ago. American Honda (including Acura) reported September sales of 133,655 Honda and Acura vehicles, a 0.1 percent decrease from September 2015. Honda Division set a new September mark, gaining 1.5 percent on total sales of 120,842. Year-to-date American Honda sales of 1,228,380 is up 3.3 percent from 2015. Nissan Group (Nissan and Infiniti) total U.S. sales for September 2016 of 127,797, is an increase of 4.9 percent over the prior year and a September record. Year-to-date sales of 1,183,024 is a 5.4 percent increase over 2015. Hyundai Motor America posted its best September ever, with sales of 66,610, up 4 percent year-over-year. Year-to-date sales of 587,688 is a 1.6 percent gain over 2015. Kia Motors America September sales of 49,220 was down 1.2 percent from a year ago. Year-to-date sales of 491,764 are up 3.3 percent. Subaru of America reported 54,918 vehicle sales for September 2016, a 3.5 percent increase over September 2015 while year-to-date sales of 446,887 vehicles is a 4.2 percent gain over the same period in 2015. Mercedes-Benz USA reported best-ever September sales of 29,500 vehicles, increasing 1.7 percent from the same month last year. Mercedes-Benz Vans also reported best-ever September sales with 2,970 up 28.2 percent and smart reported 605, bringing MBUSA total sales to 33,075 vehicles for the month, up 3.1 percent from last year. On a year-to-date basis, Mercedes-Benz retails totaled 249,204. Adding year-to-date-sales of 25,156 for Vans and 4,044 for smart, MBUSA posted a sales total of 278,404 increasing 1 percent from the previous year. Sales of BMW brand vehicles of 25,389 was a decrease of 4.6 percent in September. Year-to-date, BMW brand sales are 249,956, down 7.9 percent. Mazda North American Operations reported September U.S. sales of 24,889 vehicles, a decrease of 2.8 percent versus last year. Year-to-date sales through September are 224,267 vehicles, down 7.2 percent. Volkswagen of America reported September sales of 24,112, a 7.8 percent drop from a year ago. Year-to-date sales of 231,268 is a 12.5 percent decline from a year ago. Separately, Audi reported sales for September increased 1.6 percent to 17,617 vehicles, while year-to-date sales have risen 3.2 percent to 152,179. Mitsubishi Motors North America reported September 2016 sales of 7,191, down 4.8 percent from September of 2015. Sales for the year of 74, 351 are up at 1.5 percent over the previous year. Volvo Car USA, reported U.S. sales of 5,615 vehicles, a 1.6 percent increase versus September 2015. Year-to-date sales of 58,532 are up 26.2 percent year-over-year. Porsche Cars North America announced an all-time September sales record of 4,479 vehicles, up 1.2 percent compared to the same month last year. Year-to-date retail sales stand at 40,246 vehicles, up 2.4 percent compared to last year.